When people meet me, they are usually surprised to learn that not only am I an Orthodox Christian priest, but that I also work as a computer Network Consulting Engineer. The term for what I am is “bi-vocational.” It is not a term that I invented, or which was even created in reference to Orthodox priests, but rather has its roots in Protestant thought, to describe a minister that works a secular job while also preaching in and pastoring a local Church. Most Orthodox priests are full-time, being compensated financially by their parish and not holding any other employment. 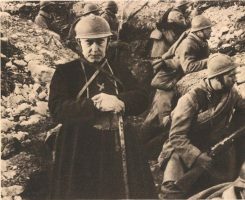 However, in America, there has been an increased number of priests who hold down part-time or even full-time jobs while serving as priests, owing to the difficult circumstances for Orthodoxy in this country. In this article, I will share a few reflections on the experience I have had so far, both to satisfy curiosity, appeal to others to support missionary work with their financial resources to reduce the necessity of priests to work in secular employment, and encourage others to follow in my footsteps. I was not born into an Orthodox family, but instead became Orthodox as a result of several years of intense research and experiences. During my teenage years, I became increasingly interested in the Church, its history, and exploring my Christian faith more deeply. As I discovered new facts and insights, I became more excited and wanted to share the information and my experiences with others. As I moved towards the Orthodox Church, I began to take an interest in the spread of Orthodoxy in America, including attempts to start new Orthodox parishes, especially in areas that would be considered “unlikely” candidates for a mission due to demographic trends. Some Orthodox jurisdictions have policies and plans in place where they will only open a mission if there is a guaranteed minimum number of families, and this minimum is often set rather high. 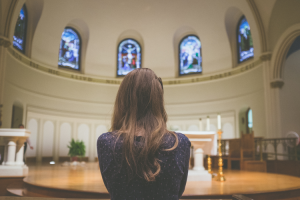 Yet I knew from my travels that there were pockets of Orthodox people scattered throughout the United States, many without parishes and some being tempted to leave the Orthodox Church and attend other Christian denominations. 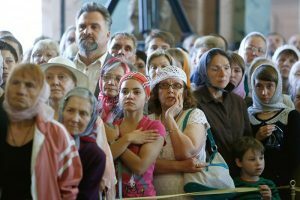 There is also an increased interest in converting to Orthodoxy, but many are forced to drive long distances to attend Church, and this is a deterrent for some. I wanted to help address this problem. We began our mission in Raleigh in 2006, having our first liturgy in 2007 with visiting clergy. We are the only parish here serving according to the traditional Orthodox festal calendar. By 2008, we were being contacted by an increasing number of inquirers, and so the bishop ordained me a priest that June. We opened our mission in Greenville in the summer of 2008. Suddenly, I found myself a priest for two missions, working a full-time job. I knew what I was getting into, having discussed with other bi-vocational priests in our diocese how they managed to do it, and thankfully, the Lord was merciful to me and eased me in gradually. I also find that by living in two worlds, I am exposed to people who might not otherwise meet an Orthodox priest. I have been able to encourage co-workers who are searching for God. When appropriate, I mention how Orthodox might view a certain situation or issue. Seeds are being planted, and awareness of our holy faith is spreading. The fact that I do not accept a salary at this time makes a positive impression on some who have come to view the Church as a money-making enterprise more than a place of salvation. While Scripture is clear that a minister may be compensated for his work, it is also the case that through history, some have tarnished the priesthood by abusing this privilege. I want my missions to grow, and so I cannot take money from them and expect them to grow at this time, let alone function well or engage in charitable works. I also am not tempted to compromise on teaching for the sake of not offending the hand that feeds me. Certainly, if our missions blossom into full parishes, I may receive the opportunity to be a full-time priest, and I would do this because of how much more work could be accomplished. However, at this time, being bi-vocational has been a blessing for our work, and I believe it can be in other places as well. In this essay, I have offered a background to my work, and some concrete examples of the interplay between my secular job and my mission work. I have also encouraged the establishment of further missions, even in “unlikely” areas. I have asked that those with means prayerfully consider supporting mission priests and perhaps establishing mission societies to help us, so that we can dedicate more time to our ministry. I will close by inviting those so inclined to join us in our work. We need both lay and clerical assistance in our efforts! Some may be called to relocate to North Carolina to help us as we spread the Orthodox faith to increasingly smaller towns and rural areas. From this there potentially could come priestly and diaconal candidates. Others may be called to establish missions in their own areas of the country, and perhaps our work can assist them and be a guide. If you have an interest in missions and evangelism, please do not keep it inside, but rather ask the Lord in prayer to guide you and develop you, and allow yourself to be filled with Divine Grace to empower you to join the effort. The blessings you will receive are great; the friendships you will make are many and beautiful. You can directly touch the lives of many. Contact me with any questions and I will do whatever I can to help you get started. Finally, I ask for your prayers, without which, I surely could not survive. Can Americans Really Be at Home in the Orthodox Church?